Silly, and definitely not for everyone, but it's still some of the best dumb fun you're likely to find. ...Classic Dungeons & Dragons with less seriousness, more catastrophic magic spells and breast jokes. In a far-off land of powerful wizards and skilled swordsmen... In a land where dragons and trolls menace innocent townfolk... In a land filled with magic, one sorceress's power is legend... She is the Bandit-Killer... The Dragon-Spooker.... She is...Lina Inverse! (Ok, so she's also somewhat short, immature, violent, and sensitive about her small breasts) Together with her mercenary companion, Gourry (not too bright, considering he is the Swordsman of Light...), Lina scours the land, looking for evil monsters to challenge, wrongs to right, and treasure. (All right, mostly she's just looking for treasure...) Along their way, Lina and Gourry make a few friends, and a lot of enemies. Including at least two world-destroying demons, a werewolf, a couple of giant fish, a sizable male dragon wearing make-up (It's a DRAGon, get it? ), several evil megalomaniac wizards, bounty hunters, and more witless minions than you can shake a stick at. Episodes 1-13 introduce us to the motley crew of adventures, and chronicle the crew's battles against the evil demon Shabranigdo (who wants to take over the world, of course). In the second half of the series, episodes 14-26, there's a price on our heroes' heads, and they're off to find out who put it there. And save the world again, of course. Slayers isn't deep. It isn't philosophical, enlightening, or sober. What Slayers is is 100% pure, Grade A good dumb fun. The humor is both so ridiculously silly and relentless that it won't appeal to everyone, but this otaku laughed his keister off. The only thing more common in this story than the constant barrage of silly jokes is the constant barrage of Lina's fireballs, so you'll probably enjoy it even more if you're interested in fantasy fiction and tabletop role-playing games, since Slayers constantly pokes fun at the more common cliches in the fantasy genre. Part of the charm of Slayers is the fact that it never takes itself seriously, and much of it's humor is self-deprecating. Bottom line: Slayers definitely isn't for everyone, and you're likely to either love it madly or hate it passionately. 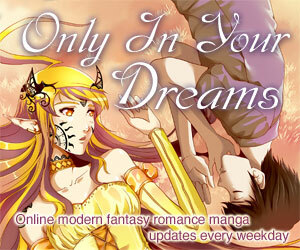 But this otaku loved it madly and recommends you check it out. 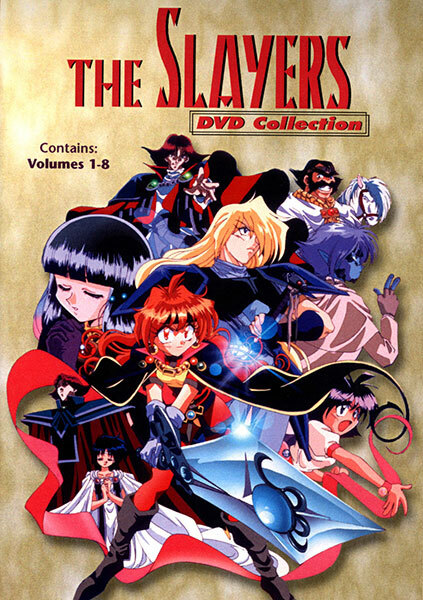 This is the first TV series, followed by Slayers Next, then Slayers Try. In addition, there's a wide selection of movies and some OAVs. And if that doesn't satisfy your Slayers cravings, you can always hunt down the plethora of Slayers manga that's available. There were even a couple of old video games that never made it to the states. Formerly available in North America from Software Sculptors on a box set of four bilingual DVDs, currently out of print. Was previously available on 8 dubbed or subtitled VHS tapes, and the first half of the series was also available on 6 bilingual LDs. Slayers is Copyright © 1995 H. Kanzaka / R. Araizumi / Kadokawa / TV Tokyo / SOFTFX / Marubeni. Any images are the property of their respective rightsholders, and included for review purposes only under the fair-use clause of US copyright law.